Guide your ball down a twisting, turning and dipping track at lightening speeds. Increase your skill as you encounter hair-pin turns and giant sweeping corkscrews. Multiple Game Modes and Skill Settings will allow you to continue to push your personal limits to see how far you can stay on the track! Or compete against your friends for the highest score. To see who can be the Track King! -“One Touch” gameplay to control your entire wave. -Large selection of characters to unlock. -Infinite and never repetitive gameplay. 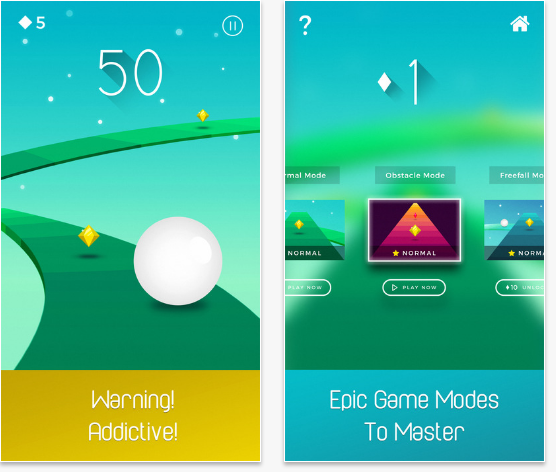 -Challenge your friends score with Game Center.